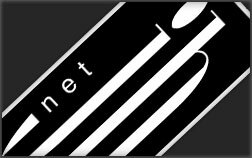 JHNet Web Development was formed by Beni Angel and James Hemphill in 2004. By starting as a small part of a below the line and through the line design agency, JHDesign, our initial focus was to support the existing clients and business, by expanding their service offerings to be able to add more online and electronic solutions to their already impressive services. Since forming this company we have grown considerably into a company that has continued to show integrity and a passion for our speciality and continued to solve clients' problems with. We are well respected by our clients and we continue to offer a service that is of the highest calibre to both big listed companies right down to our smallest private clients. We pride ourselves on being a single source solution filled with qualified and experienced staff that are able to assist in all our clients' needs, whether it is in terms of developing sites or even in strategy and project consulting.